Today (21/10/16), Dr Julia Reid MEP’s Office Team took part in the UK’s biggest, brightest and pinkest fundraiser, wear it pink. 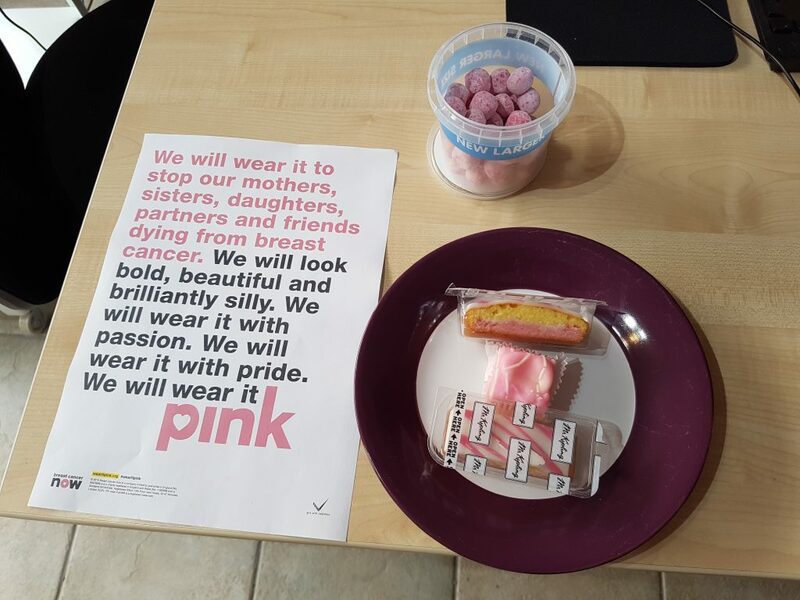 Every year, wear it pink raises around £2 million during Breast Cancer Awareness Month for the UK’s largest breast cancer charity, Breast Cancer Now. Today marked the 15th year since the original fund-raising campaign began. 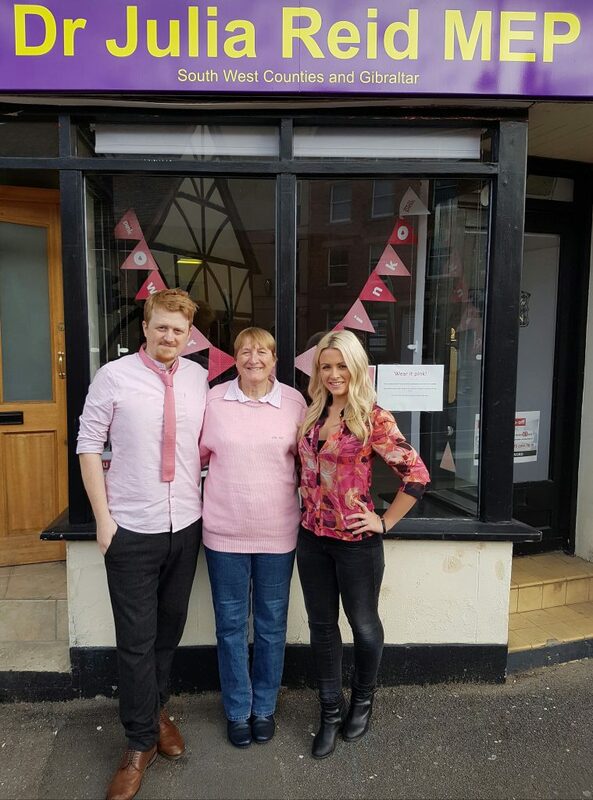 Julia and her team, who are based in Chippenham, donned pink outfits and took part in fundraising activities throughout the day including a tea and pink cake sale.